Tony Hall deserves a medal. Tony Hall has been fighting to lift the lid on the big cash crunch which confronts NSW local councils in two years’ time. Before the global financial crisis, councils, charities, churches and government agencies around the country were duped by investment banks into buying fancy credit derivatives. These were mostly collateralised debt obligations (CDOs), many of which are now worth a mere fraction of their face value. 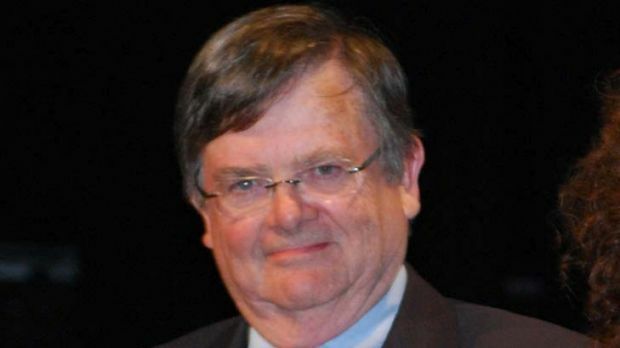 NSW councils, says the dogged 73 year-old councillor at Ku-ring-gai on Sydney’s leafy upper North Shore, are in the gun for at least $300 million in losses. This shortfall may be a conservative estimate. Gosford Council alone has been exposed to $160 million in toxic credit instruments. In trying to tell his story though, and in pushing for the rights of rate payers, Tony Hall fell foul of his own council. He has even been subject to an investigation for suspension by the NSW Director of Local Government, which kicked off last May. It yet drags on. But Hall won’t give up. Councils are hiding large losses, he says. They have neither the financial expertise nor the will to evaluate the risks and take the necessary write-downs to their investment portfolios. “Rates have to go up” says Hall. “The councils face a looming cash squeeze when these CDOs mature in 2014. The NSW state government needs to strengthen its control over council finances”. Infrastructure spending must be made, says Hall. Some councils could even struggle to collect the garbage when these losses come home to roost. When the global financial crisis engulfed the world in 2008, Victorian rate payers were in far better stead than their NSW counterparts. In Victoria – although a slew of government agencies, churches and charities were hit by exposure to credit derivatives – councils were protected by state investment regulations which had prohibited them from investing in CDOs. Investment banks had done their best to flog the toxic products down south but it was north of the Murray where the likes of Lehman brothers and ABN Amro really did their damage. Swayed by the AAA credit ratings from Standard & Poor’s – and by the bankers’ claims that CDOs actually diversified risk while delivering a high yield – some 56 councils piled in. One bunch of councils, led by Wingecarribbee in the Southern Highlands which had a $36 million exposure, has been trying to get a class action up against the liquidators of defunct US investment bank Lehman Brothers. Another action, which has proceeded to trial in the NSW Federal Court, has been brought by 12 councils against ABN Amro and the credit ratings agency Standard & Poor’s, having appended its AAA rating to a product which tanked 90 per cent in value in six months. It is another tranche of this product, a “CPDO” called Rembrandt Surf No.2, was acquired along with other derivatives by Hall’s council of Ku ring-gai. Ku-ring-gai’s note was different in that the council was asked later to double its exposure from $2 million to $6 million to achieve a principal guarantee maturing in 2016. “Gambling ratepayers’ money was not a good look,” says Hall. “And there is a problem as the new issuer Royal Bank of Scotland has stopped all coupons (interest payable to maturity) last year that will cost Ku-ring-gai ratepayers another $1.5 million in lost income on this derivative”. Tony Hall, who cut his public service teeth in the NSW local Government and Premier’s Department in the 1960s and 70s, reckons he has a good feel for what needs to be done in spending on public infrastructure. “Rates need to come off the peg,” he says. Council rates are presently pegged to rise by 3 per cent a year but that won’t be enough to cater for the required spending on public works when local government is forced to declare its losses on CDOs. Hall has written to the Treasurer Mike Baird proposing that council investments and future investment funds are transferred to the NSW Treasury in return for treasury bonds. The bonds are liquid and secure. Treasury, he says, should become banker as the councils lack the “expertise to adequately manage large investment portfolios. Since local government has demonstrably failed to manage its finances – and since there is more than $650 million “stockpiled” in council coffers – there is a significant risk that it could be frittered away in sub-par investments and hare-brained schemes. “There is a need for closer scrutiny and control over Local Government operations, particularly as they involve significant State and Federal Government grants. Control of the investment portfolios is the first step. This is a proposal which won’t be popular with most councils. But Hall is not in the business of being popular. In fact, the gritty septuagenarian seems almost to relish his status as a renegade councillor. His interest in the matter of CDOs was first aroused in 2007 when he noticed a $1 million loss in Ku-ring-gai Council’s investment portfolio. “All councillors have a duty under the NSW Trustees Act 1925 to investigate finances,” he told BusinessDay. Although, he didn’t actually know at the time what a CDO was, he began asking questions of the then Mayor and the council’s Director Finance. “They wouldn’t admit that they had bought derivatives. But then, who would know what a derivative was?” As far as Hall and his fellow councillors knew, the councils were just supposed to buy AAA-rated investments. He has some sympathy for the original investments, just not with the way it had been handled since. Ku-ring-gai also bought the deadly Rembrandt CPDO’s from the local arm of Dutch bank ABN. These were even more poisonous than a regular CDO and are subject of the above-mentioned court battle. When Ku-ring-gai was approached to join the action, it found it owned a different issued note (no2) . “The Rembrandt No.3 note lost 90 per cent of their value within one year,” says Hall. “With the No 3 note suffering a 96 per cent loss, ABN came back to my Council and said, we can save yours if you put in another 200 per cent of your original investment and we will capital guarantee your product with quarterly paid interest, to maturity in 2016”. Lehman had struck similar deals, one by one with its various council clients whose investment values were plummeting. “Restructuring” it was called and it often involved buying more of the same product but with the promise of greater security. Hall said it was another form of gambling but using public money. Tony Hall didn’t see this as much of a deal. After all, ABN was later bought by Royal Bank of Scotland (RBS) which was bought by the UK government and whose ownership may soon change hands again soon. “The prospect of having such a commitment honoured seemed to be a risk”. Undaunted by Hall’s view on the matter, Ku-ring-gai bought more Rembrandts. It spent $4 million on Rembrandt No 2 series CPDOs on top of the $ 2 million it had spent in 2006 to save its first investment from going under. Now the wait is on to see whether the promise will be kept. But says Hall,” this $6 million investment has already suffered a set back when RBS stopped all interest payments from December 2011 for the next 4.5 years”. All up, Ku-ring-gai is sitting on $9 million in derivatives. Some are producing a return, most are not, but they are yet to be written down. And this is one of Tony Hall’s chief bugbears, that there is a massive liability coming when councils are finally forced to write down their portfolio values. His activism, unfortunately, did not go down too well with his council. His conduct was conduct was referred to the Director General for local government which sought his suspension from civic office in 2010. He then found out at a council meeting the evening of July 19, 2011 at chambers on the Pacific Highway at Gordon, “a further motion that Ku-ring-gai Council seek Tony Hall’s suspension and that resolution was also referred to the Department for attention”. Council even resolved he needed accountancy training. The nine other councillors voted and Hall, who had to leave the meeting, went down six votes to three. One mayor had been lodging complaints about Hall since 2009. The current investigation by two local council operatives – it is run out of Nowra where the bureaucracy for local government sits – has been afoot since May last year. “There is no constitutional power for local government. You have to negotiate with State government to obtain a compromise. It is controlled by State government,” says Hall. And this is why he is urging the NSW Government to step in. Hall has kept a file on other council exposures and, although it is by no means comprehensive, it shows a looming liability in the hundreds of millions of dollars. “I found that we have lost in the order $290 million in investments on derivatives”. In 2008 during the global financial crisis, BusinessDay broke the story of the US investment bank Lehman Brother’s sale of some $2 billion in CDOs in the Australian market. Cunningly enlisting former council officers to sell the product to local councils, the toxic products were also sold to churches, charities and government agencies – largely on the basis of their AAA credit ratings. Lehman might have been the most prolific but it was not alone. Other investment banks such as ABN and even the trading banks such as the Commonwealth Bank got involved in making or distributing the products. These instruments products, says Hall, are beyond the comprehension of many local government finance managers who just saw the Standard & Poor’s AAA rating and assumed they were safe. And in the defence of local councils and others who got duped, the big banks themselves – with all their investment expertise and resources – were also caught with billions of dollars in toxic financial products when the meltdown came in 2008. “I can’t blame the staff,” says Hall. “The CDOs were probably a good risk in those days. They were AAA-rated, made by the US investment banks”. Still, the big banks and financial institutions who bought CDOs could absorb their losses in months. For the councils it will take years. And herein lies the community interest. On April 2010 he contacted the auditors again. They subsequently qualified the accounts, casting aspersions for the first time on the “recoverability” of the council investments in CDOs. “There needs to be more transparency,” says Hall. “Unless the auditors have qualified the accounts the councils don’t have to admit they have a problem”.